I have finally made some time to check out Git. For the past couple of days I’ve been experimenting with Git to see if it is something that we should use at Realeyes Media. The following is my Git story as well as some of the resources that I gathered along the way. 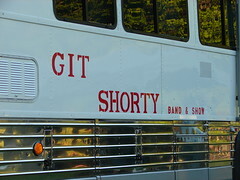 First things first, “git” initiated if you don’t know what Git is. We needed a reason – Is it simpler? Is it faster? Basically does it solve any problems we had with SVN? Yep, no problem. 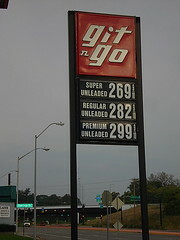 If you are used to SVN, you’ve got it made. Retrieving project code, making changes and committing are all pretty straight forward. Managing the repository does require a bit of a perspective shift though. With SVN the HEAD of the repo lives in one place – on the server. Git is a “distributed” system so each developer has a local copy of the development history. It is an easy perspective to change to and Git is flexible enough to fit into the central repository schema (more on this later). Patch-based collaboration where patch files are sent via email and then integrated into the repository by the maintainer. Because the patches are read and reviewed by many people (everyone on the mailing list hopefully) this can provide a “first line of defense” against bugs. Repository-based collaboration where changes are pushed and pulled from a centrally located repository. This can decrease the overhead for the maintainer, but can also add some overhead for the maintainer as well as overhead for any continuous integration systems. Branching and merging are two important concepts of shared development. 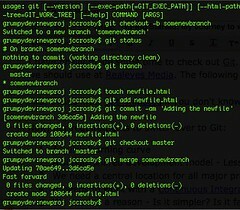 With Git these operations are part of hte daily work-flow and are simple and accurate. Git is smart. It handles much of the heavy lifting having to do with merges for you because the development history is tracked with every branch – even with changes across branches that are being merged into master (trunk for you svn’ers). This one was simple, I found plenty of information to confirm that Git will work with Hudson as well as CruiseControl (another CI system we’ve used in the past). Simplified shared development: Every developer has a copy of the development history – they can work no matter what the status of their internet connection is. In short, I really like Git. It is a lighter, more efficient and a simpler workflow than SVN. So, SVN old friend, you have treated us well (except for the merges), I think it is time to step back and make a little room for Git. Following is the list of links that I’ve used in this post as well as to get me up to speed for my “Git Expedition”.